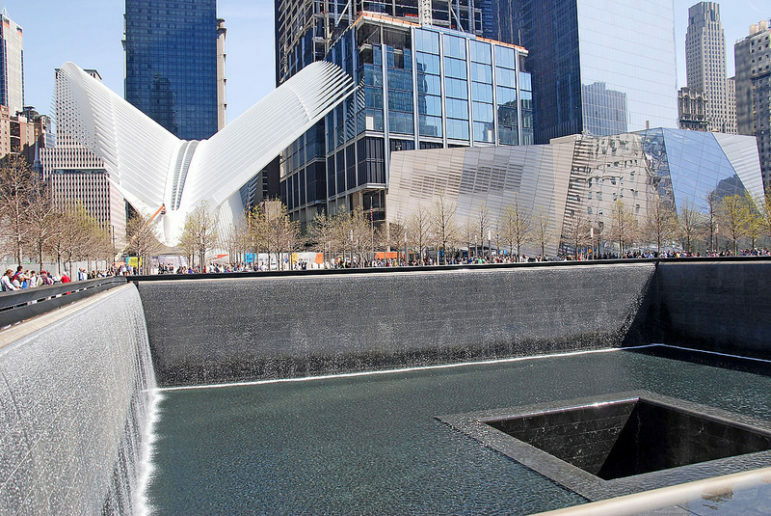 Since opening at Ground Zero in 2014, thirteen years following the terrorist attack, the National 9/11 Memorial and Museum has served as a reflection on the aftermath of the attack, remembering the nearly 3,000 victims who died fifteen years ago. The museum includes historical artifacts from the day, as well as exhibits exploring how the world has changed since the attack. To expand its scope, the museum will be holding its first art exhibition, presenting thirteen artists’ responses to the terrorist attack. Opening September 12th, the thirteen artists and their pieces were chosen for “Rendering the Unthinkable: Artists Respond to 9/11” because of their many shared commonalities. Each of the artists is from New York, some were living in Manhattan at the time of the attack, and many lost loved ones on that apocalyptic day. Each work of art will resonate deeply with anyone who continues to hold onto the traumatic memories from the attacks. For example, Manju Shandler’s “Gesture” is a nearly 3,000-piece painting installation, with each piece poignantly representing a person that died on 9/11, from the on-the-ground First Responders to the pilots in the hijacked planes. Some artists focus on the sky and how the impact of the attack was evidenced in the air. For example, the image of floating, fire-tinged paper and billowing dust clouds appears in several pieces. Donna Levinstone’s pastel piece “Eternal Rest” captures the smells that hung in the air and the clouds that came to rest after the towers were destroyed. While the piece is on loan now from the Whitney Museum, it was originally thought to be too disturbing to display in 2002 at the Rockefeller Center and was ultimately removed. As NPQ reported several months ago in its nonprofit newswire, the demographic the museum has most significantly failed to attract are those who experienced the trauma firsthand. In the two years since the museum opened, only 20 percent of visitors are locals from the tri-state area, which comprises New York, New Jersey, and Connecticut. According to a survey by the Wall Street Journal, a frequently cited reason for local residents avoiding the museum was because respondents did not want to relive the day. Hailing from New Jersey myself, the hours we spent wondering whether my father, who works next to the World Trade Center, had survived certainly deterred my family from visiting the museum and revisiting that violent cataclysm. However, given that the curators intentionally chose artists who are from New York and some who were in the city at the time of the attacks, the exhibition has an authentic sentiment that help those most affected to overcome their foreboding of visiting any physical remembrance. The artistic renderings of such difficult emotions shared by many in the area may soften the impact of reopening those wounds. What Do an Ebola Outbreak and Clinic Attacks Have to Do with Politics in the Congo? A hospital run by Médecins Sans Frontières in the Democratic Republic of the Congo was bombed again last week, while DR Congo battles an outbreak of the Ebola virus.